I hope you all are enjoying the outdoor themed posts this month! I’ve got something fun for you today. 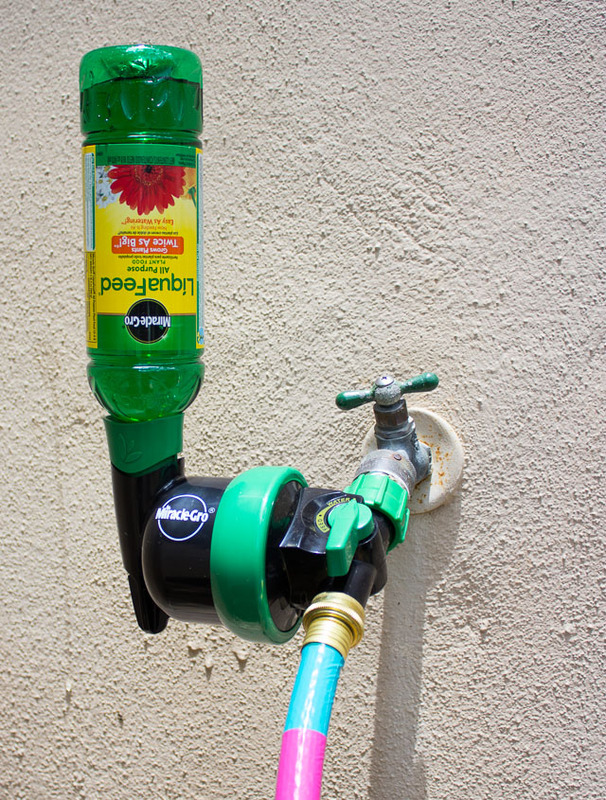 Miracle-Gro® asked me to come up with a unique watering device to pair with their new LiquaFeed® Universal Feeder. 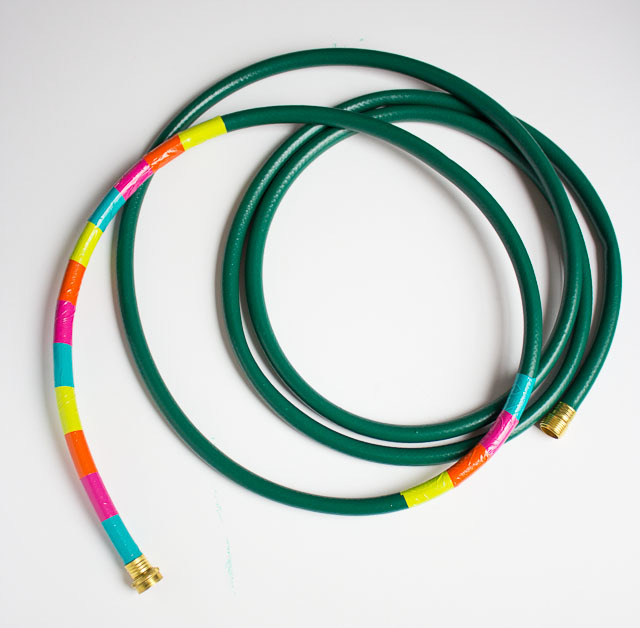 I happily accepted the crafting challenge and created a fresh take on the traditional green garden hose! 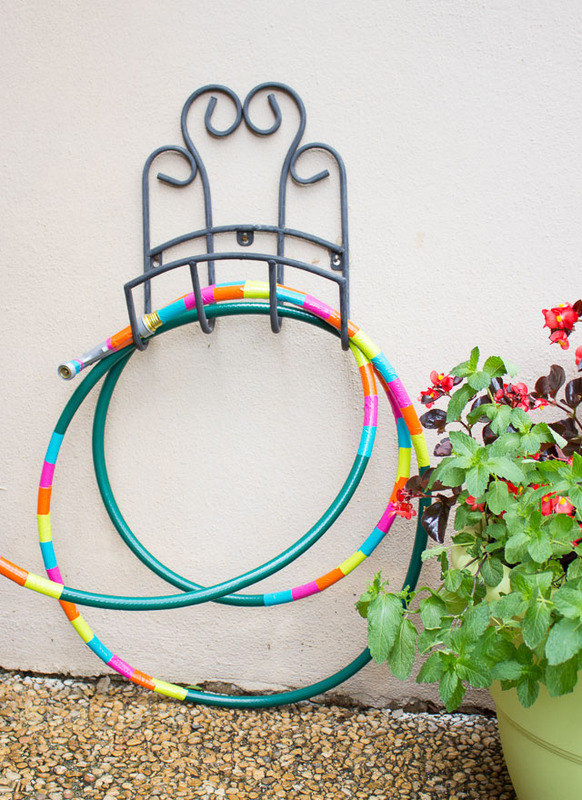 A garden hose isn’t the prettiest thing to look at in your yard. In fact, it can be an eyesore don’t you think? I decided it was prime for a Design Improvised makeover! 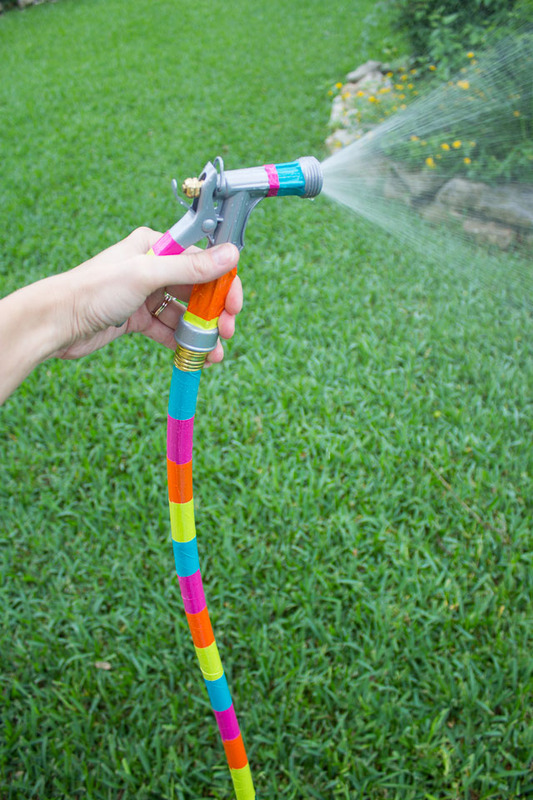 I used colorful Scotch duct tape to decorate the hose….and sprayer as well! Then I hooked it up to the LiquaFeed® Universal Feeder, which screws right into the spigot and turns any hose connection into a plant feeder. I’ve used Miracle-Gro® on my flowers for years. It was my secret for my amazingly lush planters on our Chicago roof deck! I was excited to try out this new device because I’ve always used the granular Miracle-Gro® that you mix into a watering can. However this LiquaFeed® Universal Feeder cuts out that step by instantly feeding as you water with the flip of a switch. Pretty cool, right? It allows me to feed the flowers in our landscaping as well as the potted flowers I have on our patio. 1. 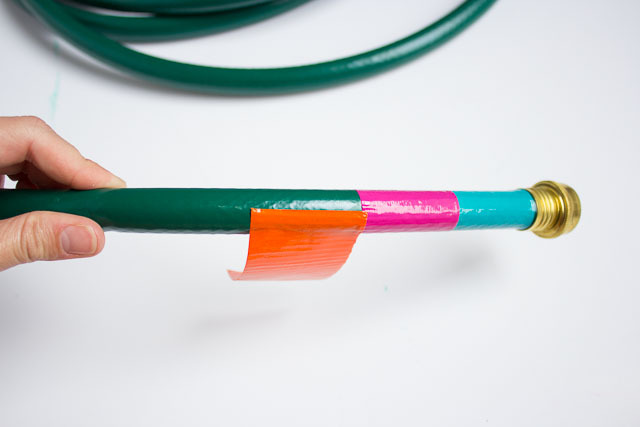 Cut a number of strips of duct tape long enough to wrap around your hose with some overlap. 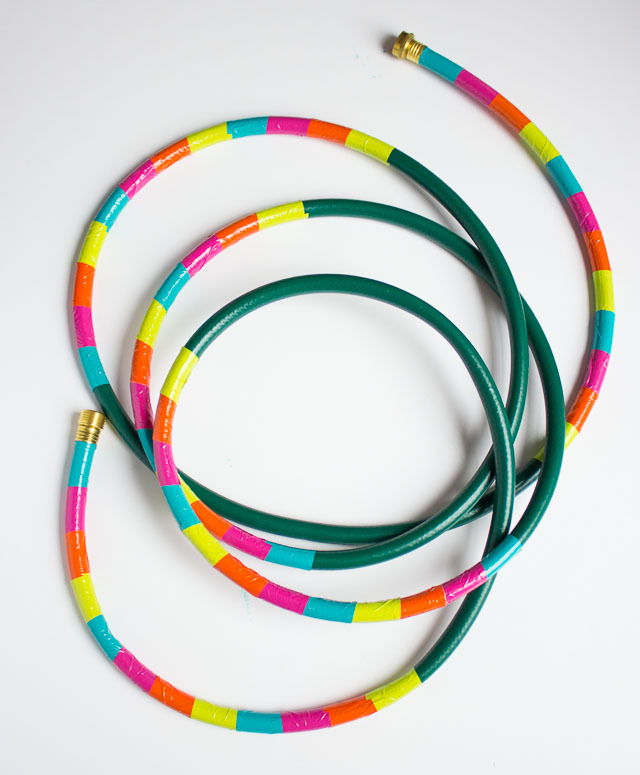 Before putting any tape on the hose, I first 4 strips of each color and hung them on the edge of a table to easily grab and stick onto the hose. This will save you time! 2. 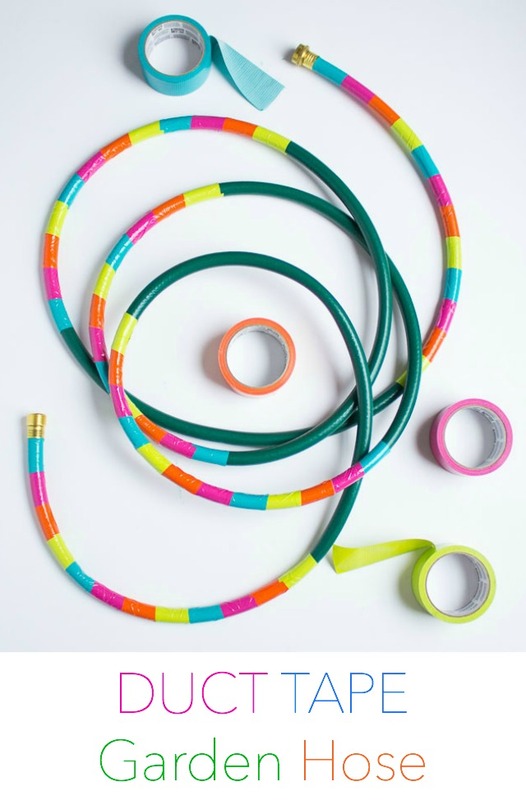 Wrap the tape around the hose, one piece at a time. Pull it taut so that it is wrapped firmly around the hose. Note that it won’t be completely smooth and wrinkle free – that’s ok! It will still look really cool! 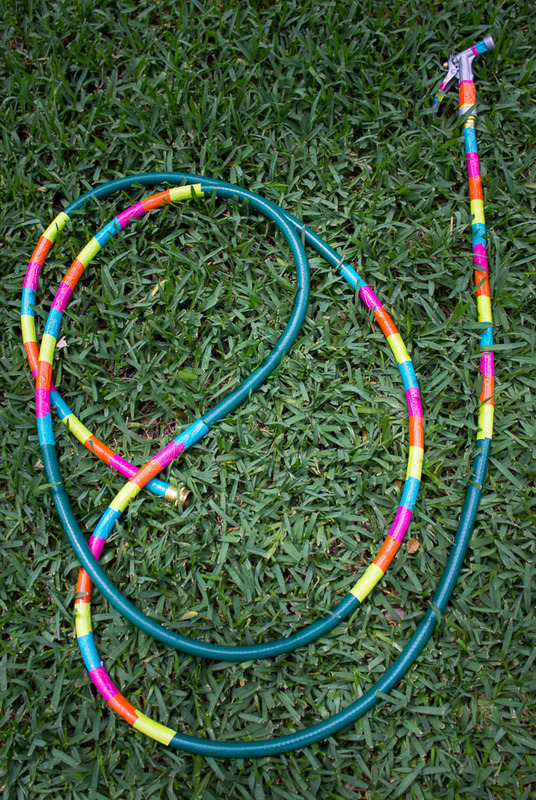 It took me a little over an hour to decorate this 15 foot long hose. But it looks so much more fun than when I started! 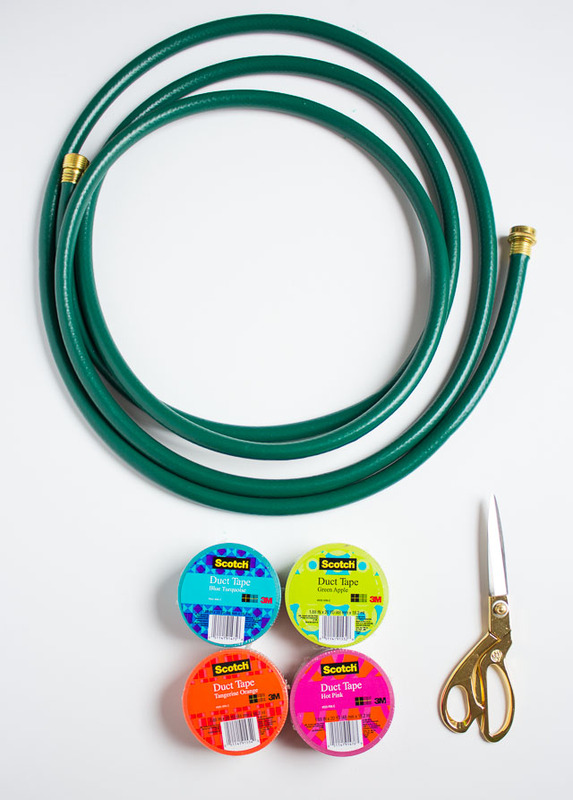 FYI – if your scissors get sticky from the tape, a little Goo Gone will do the trick. 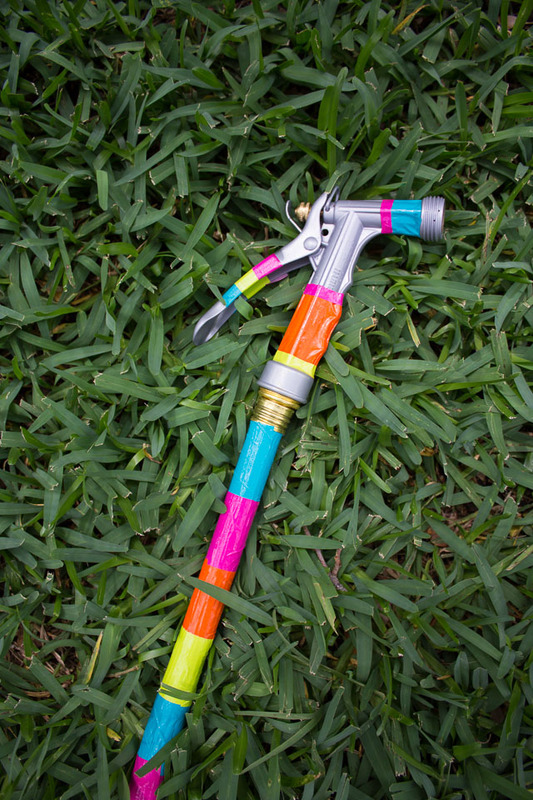 I love the unexpected pop of color this brings to the garden! 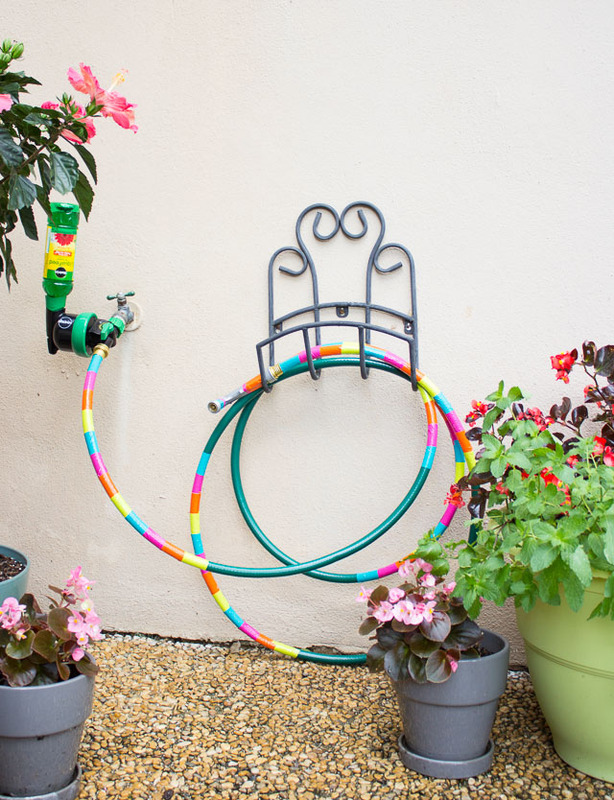 Now you can water and feed your garden at the same time with almost any device. 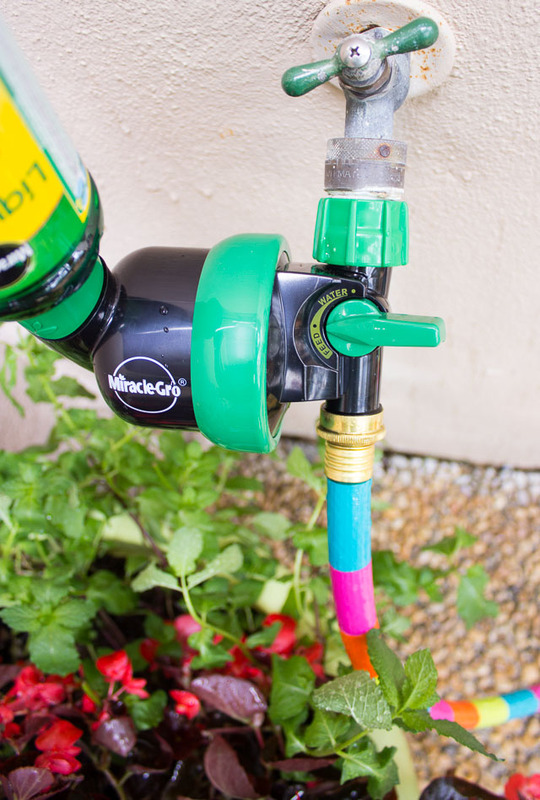 The Miracle-Gro®​ LiquaFeed® Universal Feeder connects to the spigot and allows you to easily feed your plants for a beautiful garden all season long. Miracle-Gro® sponsored this blog post. The opinions and text are all mine.